Discover our favourite hotels, restaurants, nightlife and things to do in Sydney right now. This insider's city guide has been a long time in the making. We've eaten in countless Sydney restaurants, dined in the best local eateries and visited the latest hotspots. We've also asked the most discerning locals we know to share their favourite hangouts – whether brand new or classic institutions. We bring you our hand-picked selection of our favourite places in Sydney right now. Whether you're looking for the ultimate luxury hotel, a cosy boutique hotel, or an ultra-cool design hotel, here is our pick of the best places to stay in Sydney. 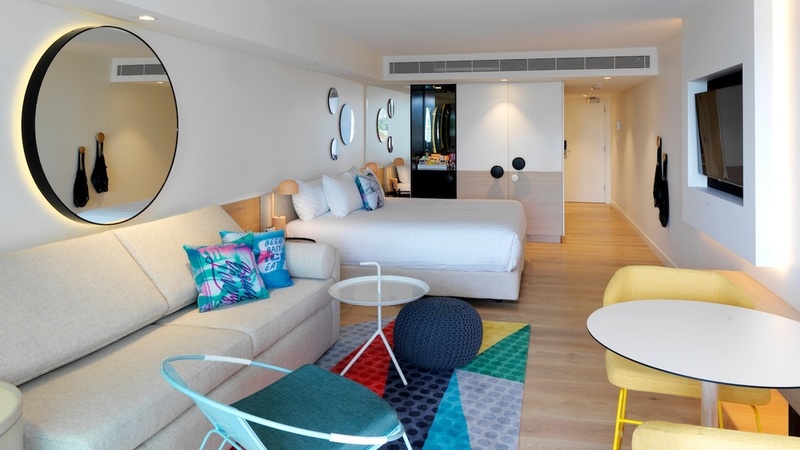 Nestled in Surry Hills, Sydney’s lively bohemian quarter, the ADGE Apartment Hotel is conveniently located minutes away from the heart of the city. Designed to match a modern 21st century lifestyle, the ADGE experience is all about combining truly excellent service with bold and original design features. As you walk in, notice how the cartoon-inspired graffiti mural brings a cheerful dash of fresh and vibrant colours to the lobby. Consistently praised for its unmatched value-for-money, this spacious luxury hotel has everything you need to make your stay as smooth, enthusiastic, and sophisticated as you want it to be! Whether you're looking for a fabulous waterfront restaurant, the city's best foodie gem, or a see-and-be-seen dining spot, here is our pick of the best places to eat in Sydney right now. Whether you're looking for the perfect cocktail, the city's best waterfront bar, or a late-night club, here is our pick of the best places to drink and party in Sydney right now. Icebergs lounge bar is one of Sydney's most beautiful oceanfront bars. Tucked away in a hidden back room in Darlinghurst is one of Sydney’s most cutting-edge cocktail bars. Discover this hedonistic wonderland in Sydney's Central Business District (CBD). Descend the swirling staircase and discover this dangerously decadent drinking den with a penchant for fine rums. A must-visit alfresco bar overlooking the Sydney Harbour Bridge & the Sydney Opera House. Sydney is home to a seductive selection of world-class cocktail bars, offering everything from glamorous designer lounge bars to ultra-hip underground dive bars. 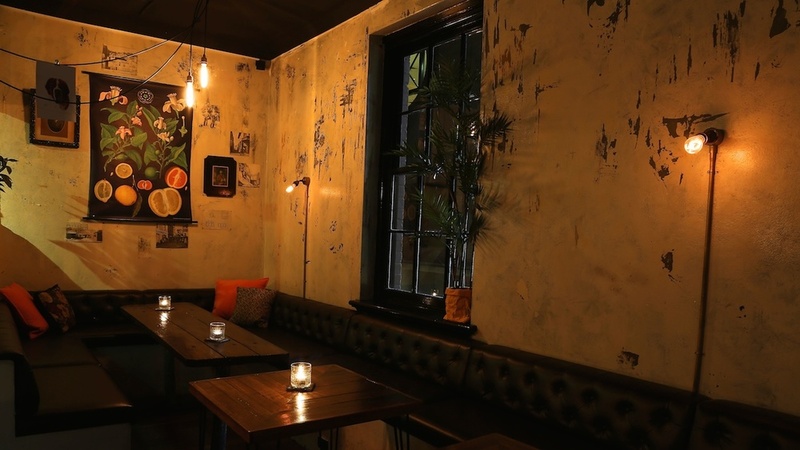 The Baxter Inn has been attracting Sydney's discerning nightlife crowd with its mix of sultry candle-lit interiors, top-notch service and a potent whiskey collection. Another rising star of the local cocktail scene is the award-winning Bulletin Place, a pocket-sized gem with exquisite cocktails and attentive service. Hidden away down a narrow alleyway is Palmer & Co., where guests descend into a subterranean world of brick arches, funky warehouse lighting, vintage photos and beautiful tiled floors. Make sure to settle in and slowly work your way through the soul-satisfying cocktail list. Don't miss these incredible Sydney museums, cultural landmarks and local experiences. No trip to Sydney is complete without a visit to the world famous Sydney Harbour Bridge and the Sydney Opera House in Circular Quay. One of the most spectacular times to visit Sydney is during the New Year's Eve celebrations, when the harbour comes alive in a breathtaking display of fireworks. Also, don't miss seeing an opera, ballet or classical music performance at the Opera House for an unforgettable cultural experience. See all of Australia's incredible animals and wildlife up-close at the world famous Taronga Zoo. With a stunning harbour-front views overlooking Sydney Harbour, this is a fantastic way to spend a few hours outdoors and to see many exotic native Australian animals, such as koalas, kangaroos and wombats. No trip to Sydney is complete without experiencing Sydney Harbour by boat. Splash out and hire your own skippered yacht or powerboat to explore the beautiful secluded coves and bays, or join a chartered sailing trip with East Sail in Rushcutter’s Bay. The ultimate way to explore Sydney's spectacular landscape is from the air, where you can enjoy an unforgettable aerial tour of Sydney Harbour and the city's spectacular beaches and coastline with Sydney Seaplanes. For the ultimate experience, stop off for an indulgent gourmet lunch at Jonah’s at Whale Beach or at the divine Berowra Waters Inn. When you're ready to enjoy some serious pampering, head to the luxurious The Day Spa at the Langham Hotel which boasts a sumptuous menu of treatments, spa and fitness facilities, and a 20-meter indoor swimming pool. The Art Gallery NSW is one of the most beautiful art museums in Sydney and is one of Australia's foremost cultural institutions. With stunning views overlooking Sydney Harbour and the Royal Botanic Garden, it showcases a frequently changing program of exhibitions and a wonderful selection of artworks by Australian and international artists. The Museum of Contemporary Art (MCA) is Australia’s only museum dedicated to exhibiting, interpreting and collecting contemporary art from across Australia and around the world. Enjoy cutting-edge exhibitions displayed in a picturesque setting next to the Sydney Harbour Bridge and the Sydney Opera House. Taking a trip on a Sydney Ferry is a quintessential Sydney experience that even local Sydney-siders love to do. Head to Circular Quay and jump on a ferry to either Watson’s Bay or to the popular Manly Beach. This is one of the most affordable ways to experience the beauty of Sydney Harbour. The Bondi to Bronte Beach Walk is a panoramic cliff side walkway which stretches between Bondi and Bronte Beach, where you’ll find dramatic cliffs, spectacular beaches and fit locals jogging or strolling throughout the day. Stop off for breakfast at Swell Cafe in Bronte, followed by a massage at The Body Spot @ Icebergs in South Bondi, and then enjoy a lazy day at Tamarama Beach afterwards. Another popular scenic experience is the Manly to The Spit Walk - take the ferry from Circular Quay to Manly, and then walk along the 9km national parkland trail to the Spit Bridge which takes around 3 - 4 hours. Make a day of it and stop off along the way for a leisurely private picnic and a refreshing swim in Sydney Harbour. Overlooking the spectacular Sydney Harbour Bridge and the Sydney Opera House, the Royal Botanic Gardens offers one of the most picturesque locations to enjoy a leisurely walk and a long and lazy afternoon picnic in sunny Sydney. Head to the nearby David Jones Food Hall to pick up some gourmet food supplies from their lavish food emporium, or call the Sydney Picnic Co. and they will deliver a sumptuous gourmet hamper directly to you in any one of Sydney's beautiful national parks. For a completely unique and breathtaking adventure, BridgeClimb is the ultimate Sydney experience. Choose from three guided climbs that will take you to the summit of the world famous Sydney Harbour Bridge, 134 metres above Sydney Harbour with unparalleled views of the city. This is the most dramatic way to experience the breathtaking Sydney harbour views, so make sure you book in advance. Enjoy Sydney’s beautiful harbour and beaches by renting a kayak at one of Sydney's scenic harbour spots by the hour. Manly Kayak Centre organises kayak rental by the hour from Manly Cove, while Sydney Harbour Kayaks offers fantastic private kayaking tours underneath the Sydney Harbour Bridge. Australians is one of the best surfing destinations in the world, so take the plunge and book yourself a surfing lesson at Sydney's world famous Bondi Beach. At the Lets Go Surfing surf school in North Bondi, you’ll be surfing in no time and will learn expert tips from accredited local Aussie surfers who are happy to teach people of all experience and confidence levels.